Hot dog! 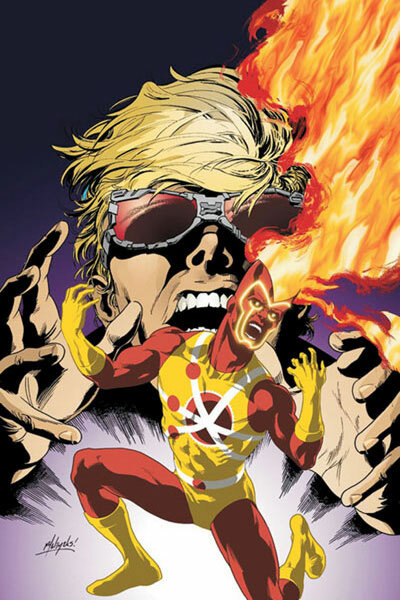 In an effort to tie-in with Brightest Day, DC will be reprinting some of Firestorm volume III. I’m really pleased with this because I believe more of Jason’s run should be collected. 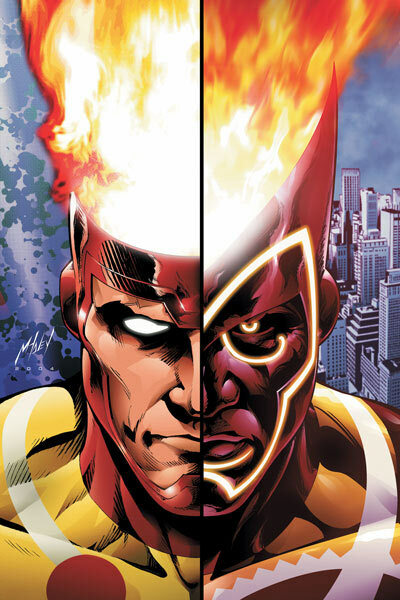 DC Comics Presents: Brightest Day #2 ships in November and will be a mini-trade paperback containing three issues of Firestorm along with some Martian Manhunter material. DC has logically chosen to reprint the Jason arc that featured Ronnie Raymond – issues #11-13. 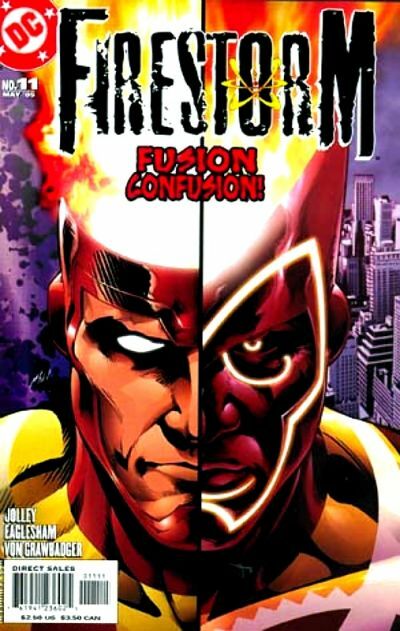 These issues were written by Dan Jolley with art by Dale Eaglesham and Jamal Igle. 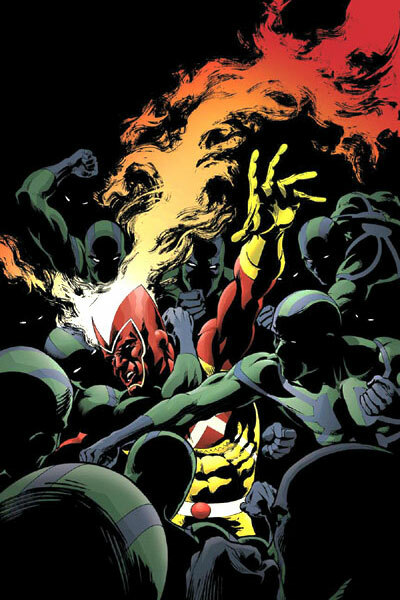 The Martian Manhunter material was written by John Ostrander, former Firestorm scribe and all-around amazing writer! Below you’ll see the solicited artwork from 2005 for those individual issues, and then the final covers. You’ll notice the coloring on the final two covers changed dramatically between the time of solicitation and the final product. Here is the official solicitation. Be sure to tell your local comic book shop to order this for you, don’t assume they’ll stock it otherwise. At $7.99 they may not order many copies for the shelf. You really can’t lose with this collection – Jason Rusch meeting Ronnie Raymond for the first time! Artwork by Dale Eaglesham and Jamal Igle! 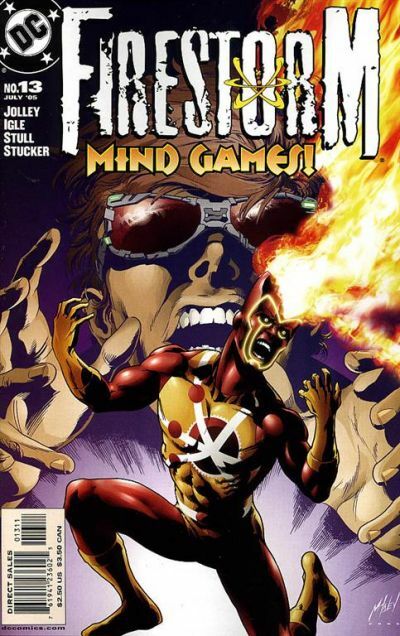 John Ostrander’s writing! Blue Beetle, Booster Gold, and Martian Manhunter! This collection is a win-win all the way around! I can’t wait! 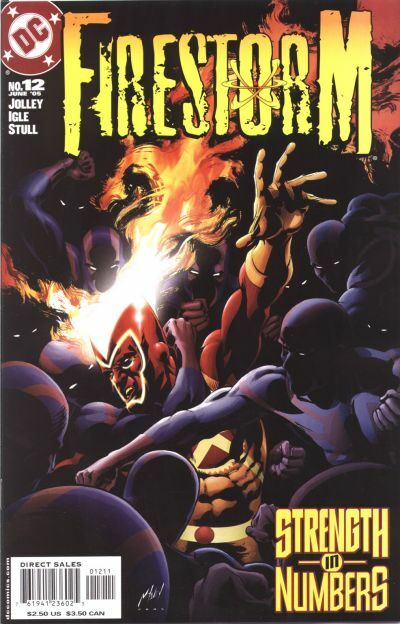 Posted in: Brightest Day, Comic books, Firestorm #06: Jason beginner, Firestorm comic vol. III, Jamal Igle, Jason Rusch, John Ostrander, Ronnie Raymond. Those reprints are made even a little more bizarre if you recall that the story in MM #24 (which was very good) was an out-of-continuity morality tale told by Manhunter. In the issue itself, Wonder Woman questions the accuracy of Manhunter’s tale. I wonder, are the stories in this reprint no longer in continuity?